THE Lakeshore Railroad marked its 45th anniversary on June 24-25 (RM May, p102). Owner Michael Henderson cut a ribbon re-creating the scene from 1972 when the Lord Mayor of Shields did the honours. Resident locos were joined by steam locos 2-6-2 James Boyd (Milner 1992), from the private Downs Light Railway, Worcestershire and 0-4-2T No. 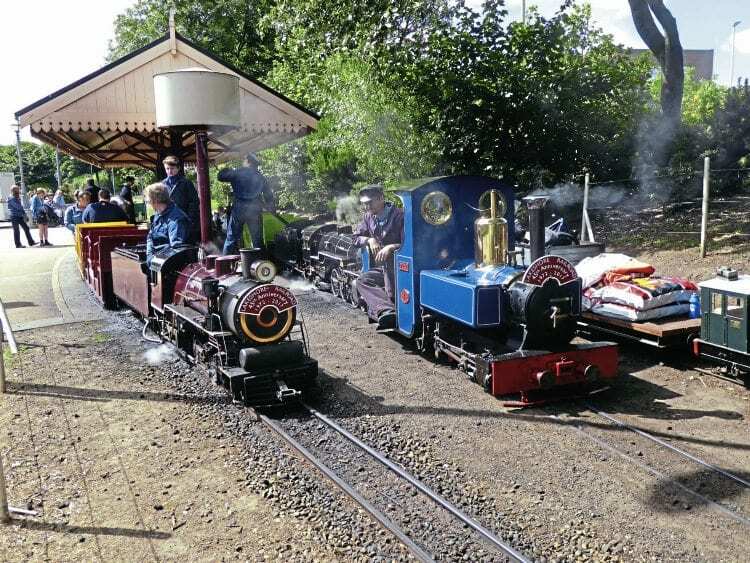 4 Nelly (Plenty Works) from the private Brightwalton Light Railway (BWR), Berkshire. Nelly arrived in May as the first visitor to the railway and is in regular use. It is staying until October. Also visiting were Michael from the BWR, the Henshaw’s 4wP variable-gauge Patrick from their private line in Dorset, and a 4wBE model of an 88DS class Ruston & Hornsby loco that was originally petrol-engine powered.